Our wedding is in 3 days! Probably 2, by the time I get to posting. And the cookbook I’ve been working on for over two years comes out in 41 days. Forty-one. (That’s December 2nd, for those of you trying to do the math.) So many big numbers! I’m trying to stay calm, but everything is HAPPENING, and I’m jittery and excited as all get out. ALL GET OUT, YOU GUYS! Only waffles will do. I first made these waffles on my sister’s wedding day, which is maybe why I’m thinking about them now. Emily and John’s wedding, last year, was so beautiful and lovely and it went by so fast, which is how these things go, I suppose. So (while I stuff welcome bags and rearrange seating charts) I’m doing my best to remember to breathe deeply and take each day as it comes – with waffles, if I can help it. 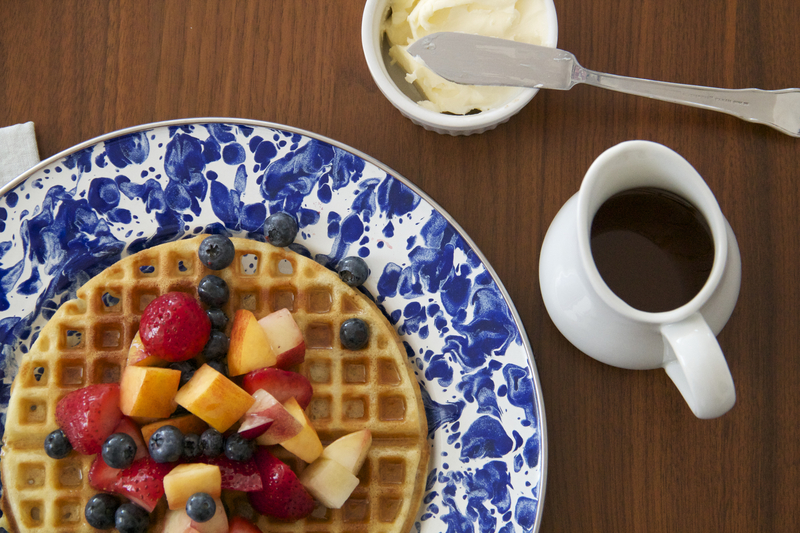 These waffles actually DO live up to their (insane/great) name. They boast a crisp outer shell and are soft and light within – the best non-yeasted waffle I’ve tried so far. The trick is the cornstarch! Just go with it. One note: I’ve made these twice — once in a deep, Belgian-style waffle iron and a once with a shallower, American-style waffle iron. You really get the contrast between crisp shell and fluffy interior with the thicker, Belgian-style waffle. 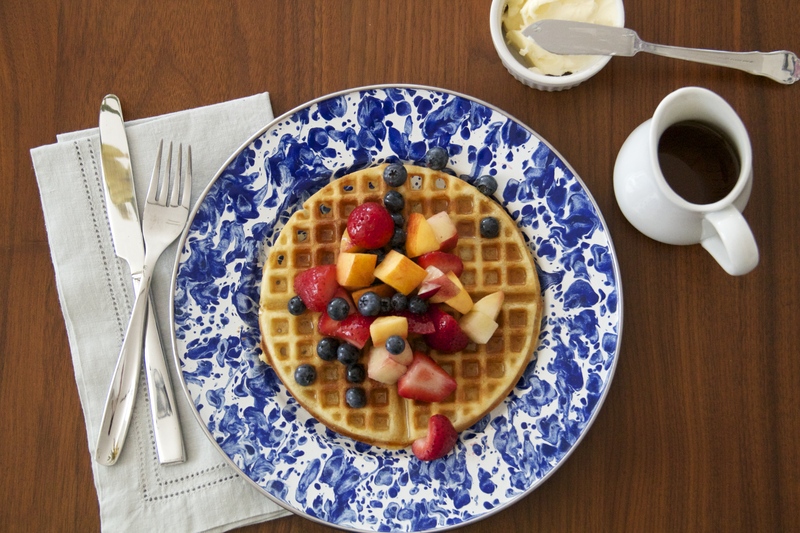 The batter will still work for thinner, American-style waffles, but if you can, go Belgian. In a medium bowl, whisk together the flour, cornstarch, baking powder, baking soda, salt and sugar. Add the milk, vegetable oil, egg, and vanilla and mix well. Let the batter sit for 30 minutes at room temperature. Heat a waffle iron. 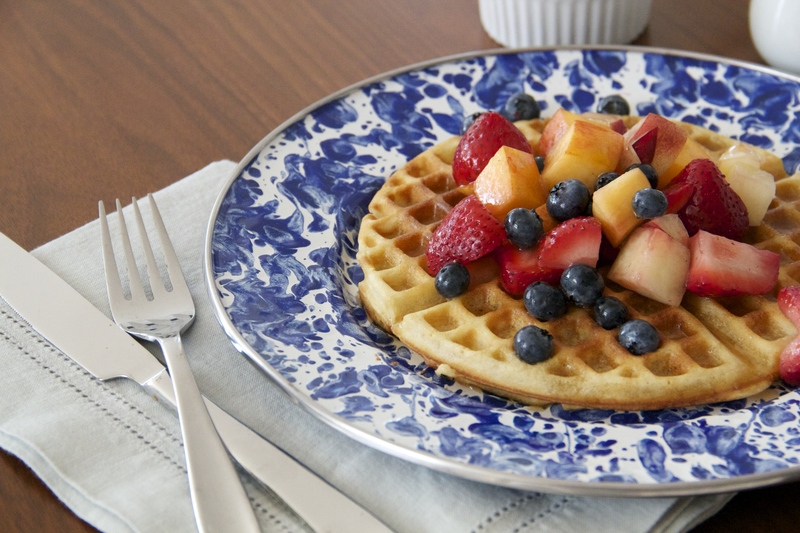 Follow your waffle iron’s instructions to cook the waffles until crisp and golden. Serve immediately, with butter and pure maple syrup, or hold in a 200 degree oven, directly on the rack (don’t stack them or they’ll get soggy) until ready to serve. The waffles also reheat very well in the toaster. How has no one left a comment yet? It’s her wedding week, people! !